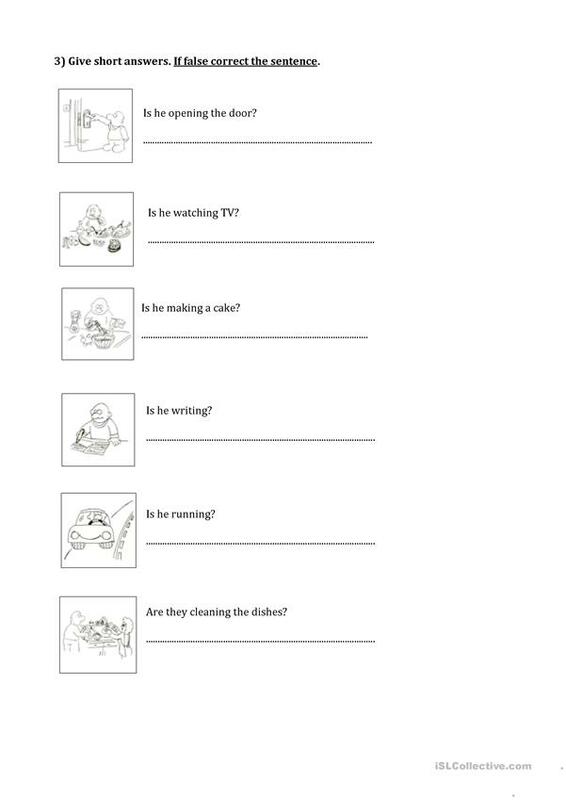 Three exercises about the present continuous: describe a scene, make questions, short anwers. 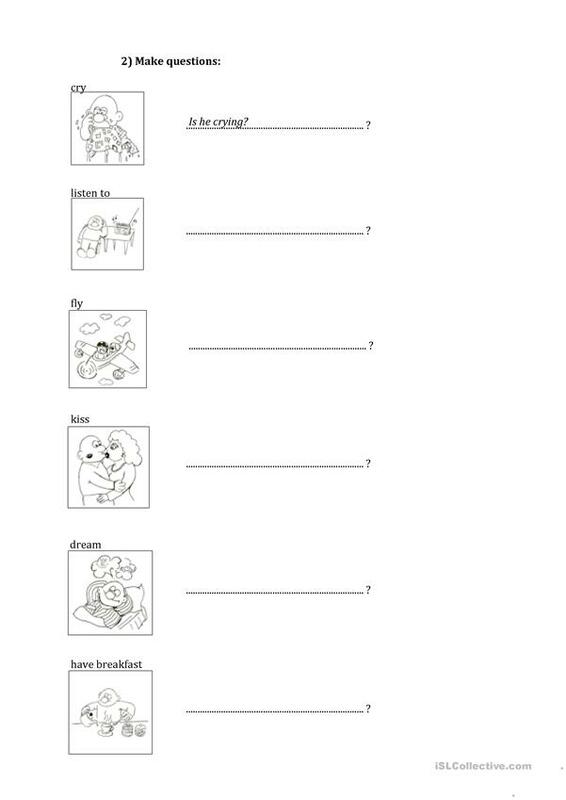 This downloadable printable is best suited for elementary school students at Beginner (pre-A1) level. mdidomenico is from/lives in Switzerland and has been a member of iSLCollective since 2011-05-22 15:05:51. mdidomenico last logged in on 2018-11-22 18:02:35, and has shared 12 resources on iSLCollective so far.